Governments in the West and the UN failed to offer Christians in countries such as Iraq and Syria the emergency help they needed as genocide got underway. 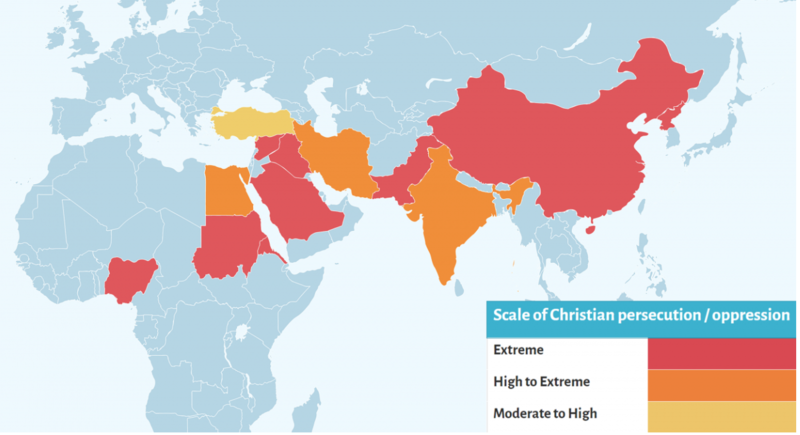 If Christian organisations and other institutions had not filled the gap, the Christian presence could already have disappeared in Iraq and other parts of the Middle East, says the Aid to the Church report on the Christian persecution around the world. The persecution against Christian is worse than any time in history. ACN says the persecution of Christians reached a new high between 2015 and 2017, as groups such as ISIS and Boko Haram stepped up attacks. The report, Persecuted and Forgotten, found that, in Nigeria, the Islamist extremist group Boko Haram, in collusion with Fulani herdsmen, carried out a campaign of butchery, desecration of church buildings, and mass expulsion of Christians. In one diocese alone, Kafanchan, 71 Christian-majority villages were destroyed, and 988 people killed. Expert opinions: Why does the Congress of the Communist Party of China have a worldwide importance?